Doing something remotely interesting at a young age brings almost immediate media attention. Debuting for club’s first team aged barely 18 and captaining the youth teams of your nation are usually two strong starts to any career. 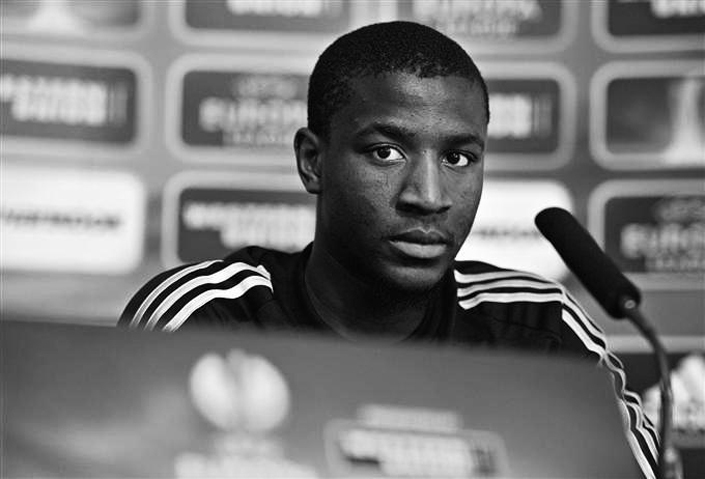 Gueïda Fofana did both and has since had many fans and journalists waiting in line; ready to declare his true break-out moment into a superstar or write him off as a player never able to fulfil the seemingly limitless potential he showcased as a teenager. Still only aged 21, Fofana came through the prestigious academy at Le Havre alongside Paul Pogba, now flicking between the sublime and ridiculous at Juventus. Gueïda’s ascent through football has for now, been a little slower than the headline-grabbing Pogba but should stand him in good stead for years to come. In August 2009, Fofana played his first professional match for Le Havre AC in the Coupe de la Ligue. Since then, he has continued to work on and harness his powerful, imposing game. On a very good day, he just about combines the very best traits of some of France’s heralded recent international players. The very good days for now remain a rarity. Gueïda is a typical defensive midfielder, a mix of solid play with an engine that sees him tracking around the pitch all game long. When he broke through, Fofana was dubbed as the “new Patrick Vieira” with frightening regularity. It’s not a comparison that really holds up. Having seen him grow as a player it’s easier to slide him into a bracket next to Claude Makélélé, or even current international players like Etienne Capoue and Yann M’Vila ahead of the former Arsenal captain. Having captained each and every France youth team that turned up for, right up to under-21 level, Fofana’s not only been blessed in terms of early development but with a mature head on his shoulders. However, the fact that there wasn’t anything close to a scramble for his signature last summer may dampen the spirits of those that were sure he was set to break through in a big way. A modest deal of around €2.6 million was eventually worked out with Olympique Lyonnais and he departed Le Havre for new surroundings and bigger expectations. The tame figure is a little bit of an indication of how his development has slowed in the 18 months. It could turn out to be a fine bit of business for the French giants. His performances in 2011’s under-20 World Cup show where he can go. At the tournament he was exceptional as he captained France to a fourth place finish. Lyon had already secured him as their player before the competition kicked off and basically rendered the interest his performances generated as basically mute. They remain the indicator that most point to when they argue that he remains the most exciting young player that France have on their hands at the moment. The longer it goes before Fofana produces to a high level again, the less and less you’ll be reminded about the summer of 2011. Naturally, playing in defensive midfield is not a position that one can master at a young age. It is to Fofana and Lyon’s ultimate benefit that he is starting to enjoy time away from the spotlight for the first time in three years. He isn’t an automatic starter by any stretch of the imagination but he is in and around the squad on a regular basis and enjoying enough playing time for now. Rémi Garde, obviously, has a plan for Fofana and his progression. Garde has taken a much more long-term view on his Lyon side in recent seasons and is working hard to bring through players like Fofana, Alexandre Lacazette, and Samuel Umtiti rather than relying on expensive imports on lavish salaries. So far, the plan is working to a reasonable level. We’d just like to see Gueïda oust Maxime Gonalaons from his starting position sooner rather than later. There is a future midfield starter for the French national team somewhere in Gueïda Fofana. Of that, we feel fairly certain. It just could be another couple of tournament cycles before he is strong enough to be given that chance.